Pregnancy – this time is certainly happy, but also fraught with many difficulties. A significant part of the latter is related to work: sometimes it is not easy to find a balance between the desire to work and the desire to endure and give birth to a healthy child, as well as take care of your own health. In this article, we will talk about whether it is possible for women “in position” to work at a computer, and how to do it correctly. General requirements for the organization of workplaces for women suggest that the degree of exposure to harmful factors does not exceed the established hygienic standards, this effect does not impair the health of the woman and her future children, and upon completion of the work shift, the female employee has time to relax and recover. 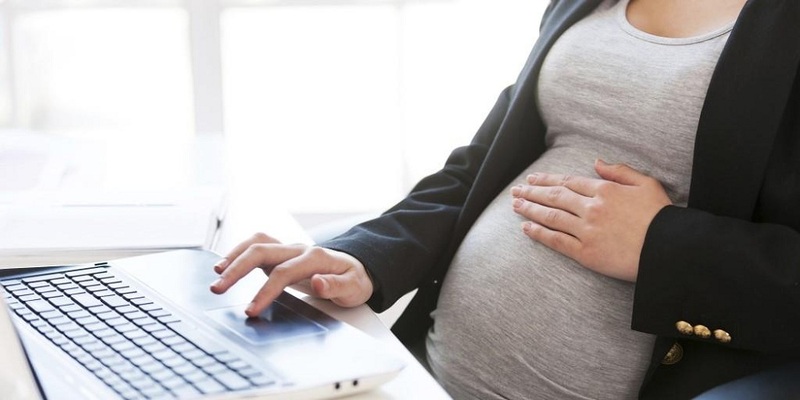 If the work of a pregnant woman presupposes constant presence at the computer, then it must either be transferred to some other type of work activity that is not related to the systematic use of computers or be released from work while retaining the average salary. If on duty a woman works at a computer from time to time, that is, if parts of her work duties are not related to him, then she can continue to hold her post. In this case, the total time spent on a computer per day for it should not exceed 3 hours. What to do if you still need to work at a computer during pregnancy? Take small walks regularly. The main problem of long-term preservation of a sitting position for pregnant women is that it provokes increased stress on the intervertebral discs and deterioration of the blood supply to the spine, and may also cause stagnation in the pelvic region and the development of hemorrhoids. These effects can be accompanied by pain in the lower back, back, in the pelvic region, and even a headache. Therefore, during pregnancy it is very harmful to do sedentary work without a vigilance – you need to get up every hour and walk for at least 10-15 minutes. If you can go outside and walk along the avenue – great if you can only walk back and forth along the corridor – also very good. Try to sit properly. The best option for a sitting position in pregnancy is with a straight back and neck, an angle of about 90 degrees in the knees and a full setting of the feet on the floor. It is very desirable that your chair has a back that helps to maintain an even position, and armrests, on which you can lean with your arms bent, slightly unloading the body. In this case, all the necessary things to work should be positioned so that you do not need to significantly change the position in an attempt to reach them. The computer monitor should be at eye level. Several times in an hour it will be useful to move, shake up, and stretch the joints. You should not slouch, bend your legs under you, put your legs on the leg, cross your legs or arch your back – all this negatively affects the state of the spine. Ventilate the room regularly. Do this even if it has air conditioning or a fan. You need constant access to fresh air to feel comfortable, take care of your health and the health of the future baby. Let’s rest your eyes. You can use moisturizing drops, gently massage the eyes through the closed eyelids with the tips of your fingers. It is useful to do a simple gymnastics for the eyes every hour (to look at a close and distant point, to drive around in a circle, to “draw” an infinity sign with your eyes, etc.). You can combine the discharge for the eyes with a mini-walk. Watch for food and drink enough water. 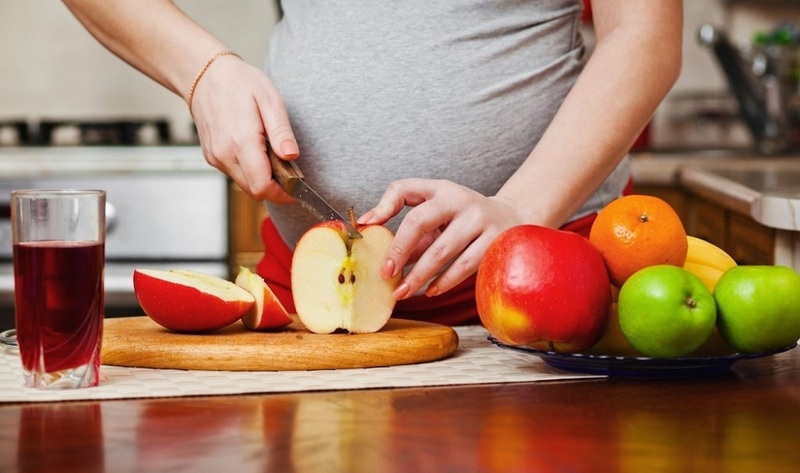 When you are pregnant, you feed not only yourself but also the future baby; therefore many hours of starvation are simply unacceptable due to the approaching deadline (although you should not starve yourself at work in any condition). Make sure to eat at least once every 3 hours, if necessary; do not forget to take snacks with you to work. If you follow these tips, you will most likely be able to work at the computer, even during pregnancy, without much discomfort. Moreover, modern computers and laptops are not nearly as harmful to health as the technique used a decade ago. However, it is very desirable to reduce the time spent on the computer, as well as consult with your doctor about this.